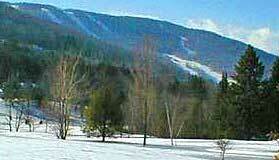 Long known as "Land in the Sky", the village of Windham NY is gently nestled in the Catskill Mountains of New York. Only an hour's drive from Albany, Windham is easily accessed from Exit 21 (Catskill) of the NYS Thruway (I87). It is an area that enjoys incredible natural beauty, a strong cultural profile and a well-deserved reputation as a destination location. Windham retains its old-world charm, with historical homes and businesses gracing its picturesque streets. You can enjoy all four seasons here in Windham! Relax and immerse yourself in live music. The Windham Chamber Music Festival offers world-class musical performances throughout the summer. Orchestral performances, classical and jazz concerts along with Arabic and Latin music performed by masters are just some of the musical flavors Windham offers throughout the year. There is even an Irish and a Greek festival, complete with food, music and fun. Experience the poignant and richly historical Civil War Music Heritage concert and encampment, where you can feel the emotions of the day through the music of the period. The natural beauty of this area begs your attention! Take a leisurely walk along a country road, or hike one of the many spring-laden mountains nearby. Boating, golf, camping and horseback riding are readily available as well. When the breathtaking autumn vistas gradually give way to the crisp breath of winter, there is an entirely different set of opportunities available! Whether your preference is skiing, snowboarding or tubing, Windham Mountain offers 46 trails for your outdoor enjoyment. There is something for everyone here, including ice skating, a bungee trampoline and a rock climbing wall. When it's time to relax and enjoy a little shopping, pop in and out of the many antique and art shops, galleries and restaurants nestled among stately Victorian homes and mansions. You'll find everything here, from gourmet foods to old-fashioned treats. Want to stay and enjoy it here a bit longer? Windham NY has many exquisite B&B's, cottages and country inns to suit every taste. Be our guest and experience the exceptional lifestyle and surroundings that are uniquely Windham.